Jungle Red Writers: Is Winning The Only Thing? HANK PHILLIPPI RYAN: When I first met Jonathan, he challenged me, oh so casually, to a game of Scrabble. Oh, yeah, I thought. I got you. (Mind you, we were early on in our relationship.) Sure, I said. Secretly rubbing my hands in anticipation. Because I am really good at Scrabble. And I wanted to win. Our relationship survived that, but I am none the less competitive. Thank goodness I am not alone. 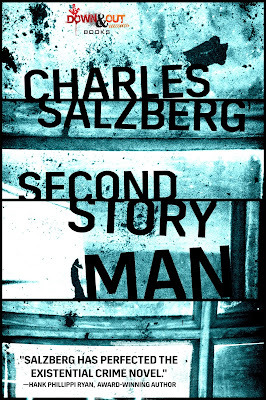 Charles Salzberg—and I am such a fan!—has new book out called Second Story Man. And Reds and readers, you will love it. And some of it--about a master burglar and his nemesis--is about the dangers of needing to win. Here’s my dirty little secret: I am, by nature, very competitive. Not the win at-any-cost kind of competitive, but competitive enough where losing hurts way more than it should. So, yes, I own up to wanting to win. But I come by it legitimately, because winning is an American obsession. As UCLA football coach Red Saunders once said, “Winning isn’t everything, it’s the only thing,” (this quote has often been attributed to legendary Green Bay Packers coach, Vince Lombardi, but it was Saunders who said it first) and this attitude is as American as apple pie, our national mantra, if you will. Not only do we hate to lose, but the word “loser” has become a particularly nasty epithet. Everything, no matter how mundane, how inconsequential, becomes a contest, with a winner and a loser. Think about all the reality shows on TV. Survivor. The Bachelor. American Idol. Top Chef. The Voice. The Amazing Race. They’re not about reality, they’re about winning…and losing. This need to come out on top is not something I’m particularly proud of and so I do my best to hide it, as if being competitive, wanting to be the best, is something to be ashamed of. Well, maybe it is, if it’s unchecked. What do we lose sight of if all that’s important is winning? Should coming out on top be so important to us? As a kid, I was a pretty fair tennis player. Not the best, but good enough to know that when I got out there on the court there was a pretty good chance I’d win, or at least be competitive. Often, I’d play with Mike Winters, an excellent athlete. When he’d miss a shot, you’d know it. He’d curse, throw his racquet, sometimes bang it into the ground as if he wanted to bury it six feet under. I was taken aback. Of course, I cared. Who wouldn’t? I’d committed a cardinal sin: not publicly showing how much winning meant to me. Over the years, I’ve realized that, in fact, winning isn’t everything. Wanting to do your best, giving it your all, is. Whether you win or lose tomorrow the sun is still going to come up. You’re still going to have to deal with pretty much the same problems you had before you won. Sure, there’s that initial “top of the world, ma!” feeling, but we all know it doesn’t last very long. I wanted to write something about this phenomenon and so, when the idea of writing about a master burglar came to me, I realized I had my chance. Francis Hoyt is that master burglar. Brilliant, athletic, arrogant, manipulative, he considers himself the best thief, not just today, but of all-time. And perhaps he is. Hoyt, a creation of imagination, is really an amalgam of two real-life burglars: the so-called “dinnertime bandit,” and the “silver thief.” In winter, he plies his trade down south, mostly in southern Florida, where the money is. In spring, summer and fall, he comes north, following his wealthy targets. The only time he’s spent in prison was because he didn’t listen to his instincts and let someone else force him to do something he didn’t want to do. When Second Story Man opens, Hoyt is headed back north, and right behind him are two lawmen, Charlie Floyd and Manny Perez who, like Hoyt, consider themselves the best at what they do. And so, the stage is set for a classic cat-and-mouse game. Who’s going to win? But more important, how far will each of them go to come out on top? If I’m at all successful, when you finish reading the book you’ll stop a moment and ask yourself how important winning is to you and, most of all, how important should it be? HANK: Ooh. May I say--I loved this book? And I am way too competitive. You all know that. As Charles says—how important is it to you to win? Or your spouse, or kids? And what do you think about that? Congratulations on the new book, Charles. “Second Story Man” sounds quite interesting . . . I’m looking forward to reading it. I imagine everyone likes to win, but I don’t think of myself as being particularly competitive. I think it depends a great deal on the circumstances . . . . Thanks, Joan. And believe me, I want to win as much as the next person. It's probably why I shun gambling--too much chance to lose. But I think that when you make it the most important thing, you lose sight of what's really important. I never thought of myself as hotly competitive, growing up. This is probably because I was always the smart kid in class, and didn't have much competition on a lot of fronts. I learned to compete against myself, and measured my achievements by internal standards, rather than just the grades I got in class. But that competitive streak is in there, and it comes out in weird places. One of the oddest was when I first began taking my dogs to obedience class. I found that I really wanted my dogs to be the best students, too! Yes, I would practice stuff outside class, but in class I wanted my dogs to be the first to get it, and the best at doing it, whatever it was. I was disappointed if they didn't hit the mark a little bit faster than the other dogs. Fortunately for me, I have border collies. They catch on quickly, so I don't have to suffer the anguish of "defeat." But sheesh! What a thing to worry about! I love it! I guess we all want our "kids" to do well in school. Gigi, that is so cute! YOu were worrying FOR the dogs. So funny! Now, that's true. If I still had a dog, I'd certainly want her to be a winner. Of course it is important to win. Who wants to fail or lose at something they undertake? But it is how you approach trying to win and how you accept if you don't win that makes things more important. But I also witnessed how others would coach ONLY to win and do anything, including breaking the rules, in order to do that. I would do anything to win except cheat. That would only cheapen any supposed victory. And given that 11 of my teams won league titles the right way, I'd say I succeeded. As important as winning the competitions were, as important was seeing my players turn out well. It was a win when they had success after youth league. 8 of my former players were on a state championship basketball team. Some of my players have gone on to become teachers or social workers, some are coaches (after having come back to coach with me first). Those are just as big of a win to me as any games my teams won. I don't coach anymore and my last group of former players graduates this year, but overall I'd say with everything accounted for, I won in ways both quantifiable and not. Jay, I did a lot of coaching too, and I saw the overly competitive (IMO) side of many parents. Living in the shadow of UNC, a lot of parents imagined their youngsters growing up to wear Carolina blue. I persisted in playing everyone, occasionally at the cost of winning. My goal was to teach them the skills appropriate to their level and existing capabilities, and emphasize teamwork, which is appropriate at all levels. We tried to win, but it wasn't the most important thing. I also remembered my own misery while playing high-school basketball and tried to make their experience fun, so that the 99% who would not go on to be stars would still enjoy playing at whatever level they could manage. Aw, exactly--you win if the kids are winners in their own lives and philosophies. Shows you how important a coach can be in every way. We'll done, Jay and Jim. My kids had great experiences with high school coaches who cared first and foremost about developing the individual kid and instilling a sense of teamwork. As a parent, I was grateful for the lesson that winning was important, but other qualities topped it. I wasn't always successful at what I attempted to do, but I tried. And I'm sure there were players who didn't like playing for me. That's always the way no matter how good your intentions are. Jim, I know what you mean about the parents. That was the worst part as time wore on for me. By the end, the last thing I wanted to do was deal with most parents. They think their child is going from youth league to the NBA while little Johnny or Janie trips over the paint marks on the court. My league had minimum playing time rules so everyone got at least 5 minutes per half per game. Some got more because they were good players, but the ones who weren't good players could get more by doing something positive on the court. And some of my lesser talented players worked so hard that even in their limited playing time they made huge contributions. And when I made the switch from coaching boys to coaching girls, I found that I had much more fun. They WANTED to be coached (which they weren't really getting from the coaches in place before I switched over). I had one player who refused to play for anyone else but me because as she told her mother, "Jay never lies to me". She played ended up 8 seasons for me. I still get asked if I'm going to go back to coaching to this day. But the way the game is coached now (I've gone to a couple of games in the league that I used to coach in) has convinced me that I would be completely out of place these days. It has, in its own way, passed me by. One of the proudest moments of my life came when my youngest nephew was in fourth grade. His brother (a year older) had won the county spelling bee the previous year when he was in fourth grade and again that year in fifth grade. The boys studied together, worked hard. Youngest made it to the final two and lost. He was crushed. He came back and sat with me and I tried to console him. Then the winner came down the aisle with her dad. Youngest jumped up and walked up to her and shook her hand and told her congratulations. I thought my heart would burst. (He won the next year!). And Jay, I would've let you coach my nephews any time! Thanks Flora. I appreciate the sentiment. Though you would probably would want to see me coach before allowing it. My own niece wouldn't play for me when she spent a summer up here one year. Of course, it was because she thought she would be playing for cuddly teddy bear-like Uncle Jay and not Coach Jay. When I told her she wouldn't get special treatment, she decided not to play. HA! My partner tells me I am obsessed with winning at Words with Friends. He's probably right. Okay, he IS right. It isn't so much that I want to win but I really really hate to lose! Now--that's an interesting way to look at it! Perfect! Welcome Charles--love the sound of this book's premise! I love to win and hate to lose too--but you also have to pay attention to what you're willing to give up to be the winner, and what it costs in other ways, I think. Charles, great title and you really got me going with the premise. Two law men compete to catch a master thief... Irresistible. Lucy brings up a good point--how we get invested in the success of our dogs and, in my dogless case, children. I've learned to ease up and let them set the goal themselves, and decide how important it is to win. To go off on a tangent, don't you think the games/sports someone chooses to play are very revealing. Team sports (baseball, hockey)? One on one competitions (tennis golf scrabble)? Or competing with yourself (skiing, crossword puzzles). An aside... I refuse to play scrabble with my husband because I need to have at least a shot at winning. And in any team game, I want Hank on my side. OOh, we should get Jonathan and Jerry to play. And then we just sit back. Thanks, Hallie. And yes, I guess I do draw the line at Words with Friends. Only, I just can't figure out how to cheat...yet. I am completely investedin winning and not ashamed to say so. Currently I have several online Scrabble games going plus a few Words For Friends ones. If I look at the stats, my win-loss record is only slightly in the black, so obviously I'm not nearly as smart as I'd like to believe. But my nemesis is Kate Charles. I think I've beaten her maybe three times in dozens of games now. But I keep trying. And trying. And trying. And I will nevah surrender. You might not think it, but I have a streak of ultra-competitiveness in me. It's why I never bothered to compete when I was training for taekwondo. I knew I wouldn't win and I didn't want to put myself in that position. Ironic, since the #1 thing in the tournaments was the idea that you do your best and if you win, great. If not, you did your best. My kids are also competitive. The Boy, you can tell. When he was little, he'd get very upset if he lost. The Girl, a little harder to tell. Her boyfriend didn't think she was, but she's just very selective about what she's competitive about. When she danced, well, stand back. The Hubby might say he's not competitive, but sit him in front of a Sorry! board and it's an entirely different story. Competitive is okay, but there is a level where it's gone too far. Mary, that's why it hit home with me--because I do have a strong urge to win. I just try to temper it as much as I can by realizing that it isn't the end all and be all. As a child I learned to stay below the radar, which meant sitting back and observing, instead of striving to be on top. Maybe that's why my level of ambition for competition is low. Also, I am realistic about the odds of winning at anything, and unlike so many sports fans--including members of my family--do not take it personally when "my" team wins or loses. Honestly, I think that win or lose mentality, the my team/your team thing, is largely to blame for the political mess we find ourselves in right now. I had to quit playing Words with Friends, because it was so stressful! I guess Mary's daughter and I have something in common here. I prefer to pick my battles, and not make everything a do or die situation. Oh I take it personally when the college or pro sports teams lose. For about 5 minutes, then I move on with my day. ALso the title has a big double meaning. Actually, triple. And how many times have I said to Jonathan: it's JUST a baseball game!! I'm just writing something now, Karen, about staying below the radar as a kid. I was the good kid, never in trouble, while my brother got all the attention for always being in trouble. Hank, I'm with Jonathan. I hate it when someone says "It's JUST" when regarding the result of a game I am interested in. Hmmm... don't know Words with Friends. Off to investigate. This book has gone right on my list, Charles. Can't wait. Good luck with it. As to competitiveness, not much. (I think I'd learn something from your book.) I know the rules of both chess and bridge but could never work up enough interest to care. Never played team sports. It took me years to realize that Scrabble is about strategy not about having fun with words and the competition with a crossword is me with me. I just seem to lack that gene. Except. Trivial Pursuit, and Jeopardy occasionally. I am known far and wide (in a very limited circle!) as the queen of useless info, and I hang onto that one crown. I might add that my 4 year old granddaughter cheats at Candyland.Where did that come from? Hallie, you're big on bridge, right? Can you teach us? Several people I know here in Atlanta were victims of the Silver Thief. It was all over the news. 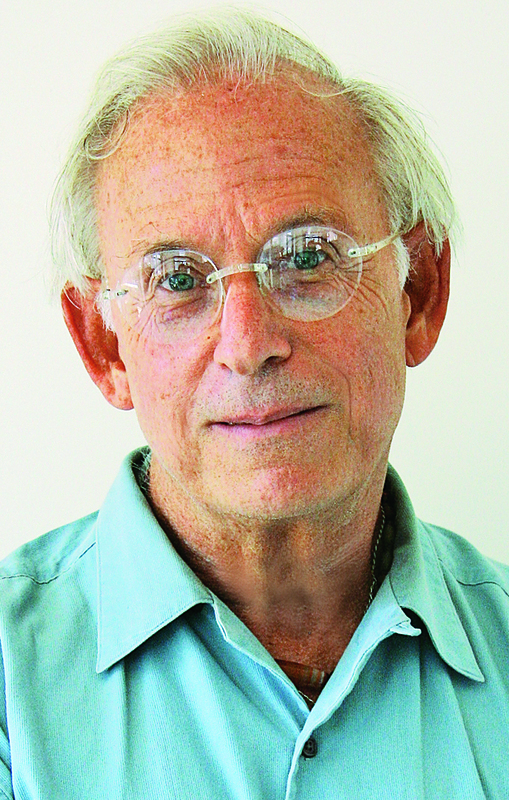 He was a real specialist and only took the best, most rare, and one-of-a-kind pieces. I look forward to reading the book! Oh, so fascinating! And did it happen at dinner time? Thanks, Atlanta. He was totally new to me, when I started researching this book. But that's odd, since I think he was a Long Island guy, which is just across the river from me. And yes, Hank, only at dinnertime, when everyone was home, meaning the valuables, too, and downstairs eating dinner, while those valuables were upstairs. Cora lee tells me she’s fallen into the spam put and can’t get out! Hank to the rescue? Terrific premise, Charles. Can't wait. I've always wanted to win, but when watching sports I prefer the underdog -- and then feel really bad if they lose. So sad. I have friends who say "I don't have a competitive bone in my body," and I think to myself -right, you're competing on how noncompetitve you are! I know people like that! And the ones I think of as competitive dieters, competitive pray-ers, etc. It doesn't have to be a game to get the competition going. I'm competitive as can be, but I know I can't win every time, so I am okay with losing as long as I have fun and as long as I win some of the time. Thank you oh tech savvy ones. I was born competitive, I think my mind set was anything older sis can do I can do better. I was also born overly sensitive and did not handle the losing part very well. In 7th grade, my also competitive BF developed an ulcer. I began to question the must always win; thinking..is it worth it? By the time I was 40 I realized I still did not like to lose. I had to reframe "losing" and failing into 'well that didn't work.. what else should I try? As long as I choose not to quit an activity even if I was in last place.. I win. Brilliant brilliant brilliant. I also say: every day I don't pick four numbers and buy a lottery ticket, I win a dollar, because I never would have chosen the winning number! Great post, Charles! I love the premise of this book, mostly, because I am the least competitive person who ever lived. I genuinely play games for the joy of playing and can be legit happy for the person who bests me. That being said, I do love it when a protagonist has a nemesis. 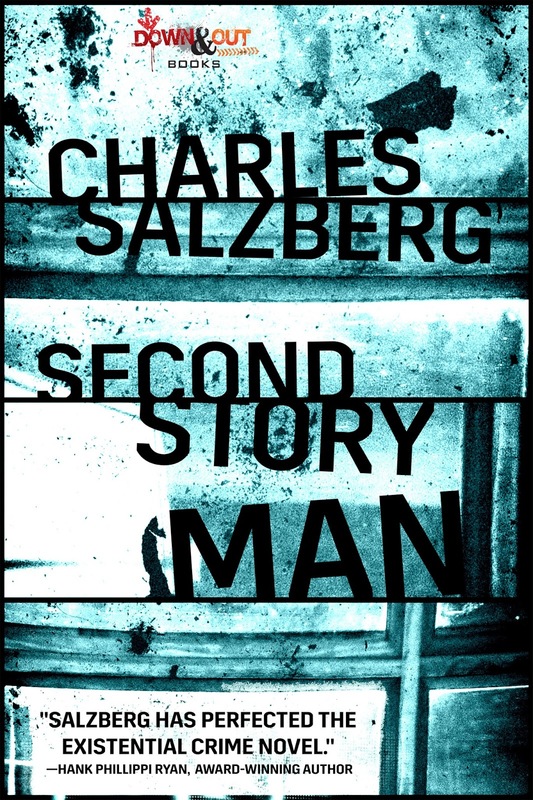 I have a few in life who propel me to achieve more than I would if left on my own, so I am looking forward to diving into Second Story Man. Thanks, Jennifer. Let me know what you think, once you do. Welcome to JRW, Charles! The book sounds intriguing! Can you tell us more about the title? I'm competitive, but as I've gotten older, I find I'm mostly competitive with myself. Sometimes this is a good thing because it means I'm driven, but sometimes it means I push myself too hard. I think my trainer knows this. When she says, "Five more if you can do it," it makes me want to do six more! Oh, agreed. Is that a clever trick on your trainer's part? Sure, Ingrid. It's actually got a dual meaning. First, it's because that's what burglars were often called, second story men, because they'd break into houses on the second story, where the valuables are. But in this case, it's also because all three men are entering second phases of their lives. Floyd, because he's recently retired from his job as a Connecticut State investigator, Perez, because he's on suspension and wants to get back on the job, and Hoyt, the thief, because he's reinvented himself as a burglar now, only stealing silver in the dead of night, not risking having people stumble on him as much. That's what I said above--but I didn't want to give to much away. It's so clever and touching. Do any of you play HQ? I think I learned about it from you, Ingrid! Charles, your books sounds like quite the exciting chase. I'm adding it to my TBR list. I think I'm probably more competitive than I consider myself to be. Praise is a great reward for me. The game of Aggravation is where my and my family's competitiveness is on full display. My mother-in-law and her husband used to play Aggravation with another couple for years and years, and so my mother-in-law is on the Master level of playing this game. My father-in-law has passed away, so he hasn't been part of it for some time now. Whoever gets my MIL for a partner is in for a whipping-in-to-shape. She will tell you what to do and where to move, although she has gotten a bit better about it since my sister-in-law's husband will no longer play after she bossed him a bit too much. But, she is as competitive as it gets in this game. The rest of us are competitive in that we so badly want to bet her and whoever is her partner. We have from time to time had to put the game away for a while and allow a cooling off period without playing it. But, we will gather Sunday for Easter dinner, and, it's on! Oh, I should say that my MIL is going to be 90 in a few months. Hahaha! Keep us posted, dear Kathy! And good luck! Thanks, Kathy. Actually, I am very competitive, but I try to tamp it down. Playing sports all my life, I know how good it feels to win, but I also know that even if you do win, or lose, the next day the sun comes up and you've got the same problems you had before you "won." For me, that puts it in perspective. And I think there's nothing wrong with being competitive, wanting to win, or wanting to be the best. It's just when it becomes obsessive that I have a problem with it. In this country, it seems we have to make a competition out of everything, with winners and losers. I'm not so sure that's a good thing. Just watched the Olympics and the World Figure Skating Championship. Here are people who already won against their countrymen to get into these contests, and they get pressured from their countries and their countries' media to win. One three can win medals in each area so that is very unrealistic. Not that everyone doesn't want to win but I just appreciate the performances. Sometimes a person or couple doesn't have the whole package to win but is amazing in a certain area. I was never competitive at sports because I was rotten at them. I do pretty well at Trivial Pursuit and Jeopardy.